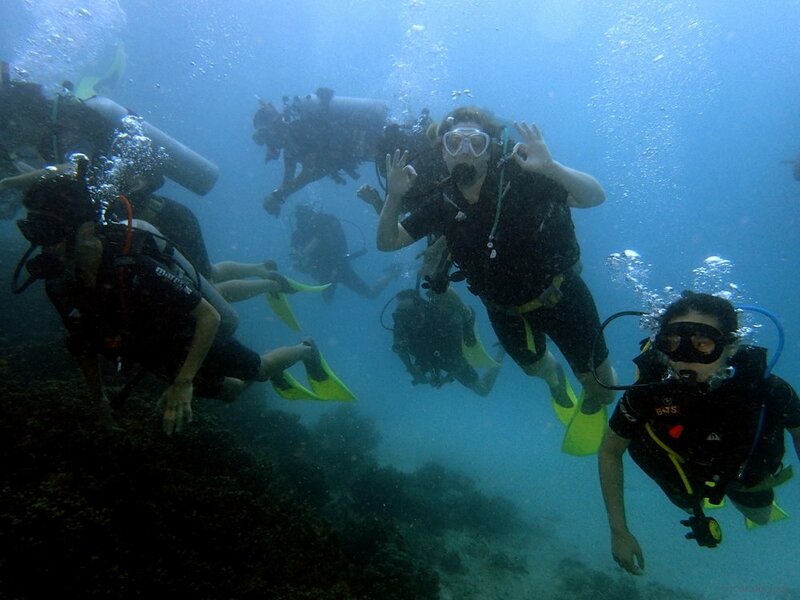 Ecofieldtrips takes student groups to a range of exciting locations across Southeast Asia. Click the links below or browse the map to learn about each of our trip locations. If you would like to find out more about individual programme itineraries please contact us. Tioman Island is located in one of the most outstanding areas of marine biodiversity in the world. Under the guidance of qualified and experienced biologists, students are introduced to the island's ecosystems and wildlife. Students will get a hands on experience, learning about coastal and ecological processes whilst increasing their awareness of environmental issues. Tioman is teeming with life and home to many endemic species such as the soft-shelled turtle and the Tioman walking catfish, which is found nowhere else in the world. 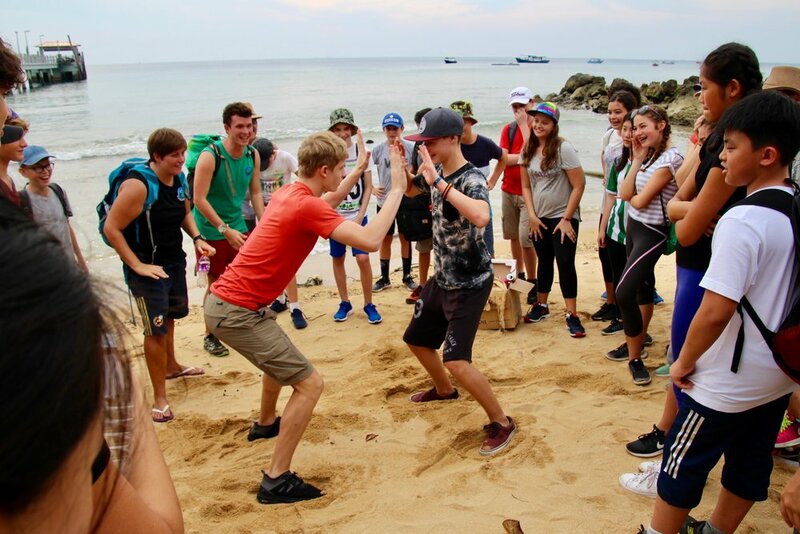 This makes Tioman the ideal retreat for immersing students into the outdoors, fulfilling the academic requirements of the school whilst equipping students with positive attitudes towards the natural world. Tioman is situated off the east coast of Malaysia, just a half-day coach and ferry journey from Singapore. We stay in one of two comfortable resorts, with our first choice being Melina Beach Resort as it has its very own private beach and seashore. The resort is perfectly situated directly between rainforest and fringing coral reef, allowing students to explore the richness of life in two of the most unique ecosystems on the planet. Additionally, we are able to offer access to several environmental projects that are run on the island, including but not limited to the Ocean Conservancy’s international beach clean-up and the Juara Turtle Project. With an incredibly rich history, huge diversity of cultures and varying landscapes, Ipoh is the ideal place for students to learn first-hand the processes of changing cultures and how this effects the environment. Set to a backdrop of gigantic limestone karsts, historical colonial buildings, lush rainforests and oil-palm plantations, Ipoh has a lot to offer. 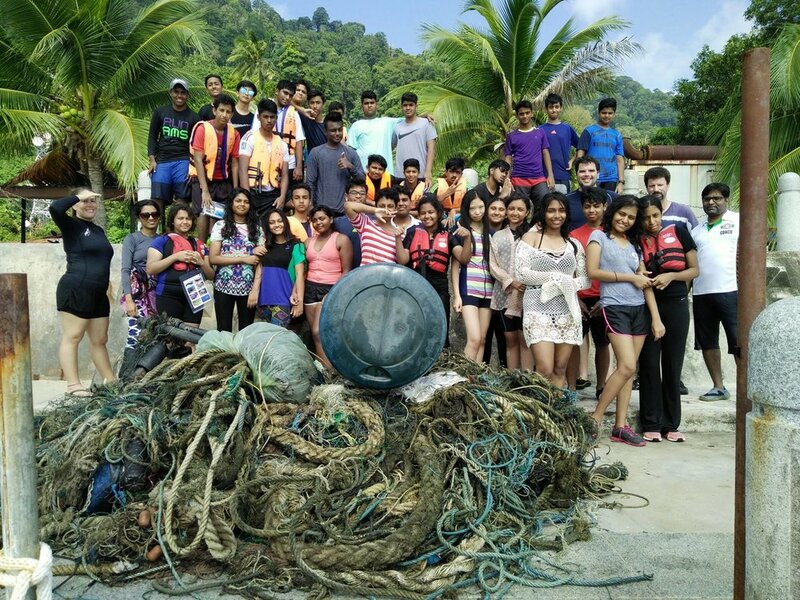 Based at eco-resort The Roots, students on this fieldtrip will experience cultural integration like never before and see first-hand how ecosystems change, adapt or disintegrate as a result of human modification. Lead by our experienced biologists, students will engage in a variety of activities that will bring the history of this once prosperous state to life. Within Perak we also have the option to explore and camp in one of the oldest rainforests in the world; The Royal Belum State Park. 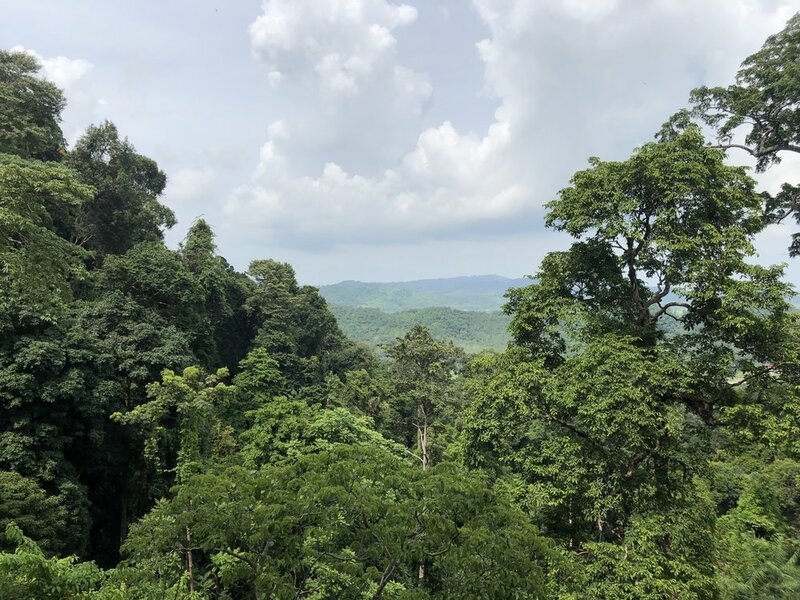 This forest is home to 14 of the World's Most threatened mammals; among them the Malaysian Tiger, the white-handed Gibbon, Asiatic Elephant, and Sumatran Rhinoceros. Sedili Besar is a small village on the east coast of Peninsular Malaysia, only a 90-minute coach ride from Johor Bahru and just over four hours from Kuala Lumpur. This quaint village relies predominantly on fishing and maintains a strong cultural and traditional identity. At the edge of the village, Tanjung Sutera Resort provides excellent trip accommodation. With comfortable air-conditioned rooms, a swimming pool and a large restaurant, it is possible to comfortably accommodate a wide variety of group sizes. Views from the resort are spectacular, overlooking offshore islands. In addition to the range of ecosystems suitable for surveys, we have many cultural and service activities available at this site. Ecofieldtrips longstanding relationship with a local Rohyingya Refugee School means that students can add a worthwhile humanitarian service project to their trip, planning and carrying out interactive activities that will enrich both sets of students. In the Andaman Sea on the north-western shore of Malaysia is an archipelago of 99 islands known as Langkawi. This group of islands is blessed with lush rainforest covered mountains, scenic waterfalls, ancient mangrove forests, white sand beaches and coral reefs teeming with life. The Langkawi rainforest itself dates back to the Cambrian period more than half a billion years ago. These diverse habitats make the UNESCO Geo-park an ideal setting for students to reconnect with nature. 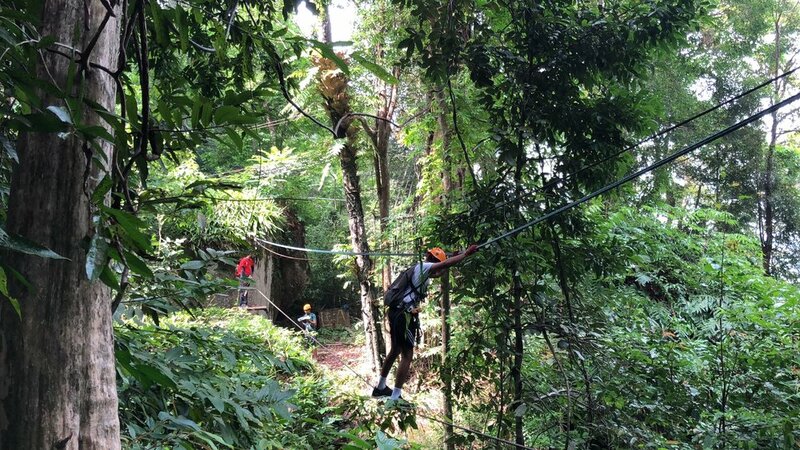 On this programme, students will engage in a variety of outdoor-adventure activities that fully immerse them in Langkawi's natural heritage and challenge them to step out of their comfort zones. Located just 70km northwest of Kuala Lumpur, Kuala Selangor provides the perfect location to immerse students into culture and nature without having to travel far. With a rich history, and a diverse landscape, Kuala Selangor is the ideal place for students to learn about some of Malaysia’s colonial past, coastal ecosystems and agriculture. Situated on the west coast, there are lush mangrove forests and plantations, as well as rice paddy fields. Students will step back in time to when the Dutch ruled the Malacca straits, by exploring the old hill fort of Bukit Melawati. They will also see one of the largest populations of fireflies in the world during a truly spectacular evening river cruise. Based at one of two nearby resorts, students on this fieldtrip will see first-hand how human modification affects the landscape and get involved in reversing the damage we’ve caused. Lead by our experienced biologists, students will engage in a variety of activities that will bring the history of this sleepy coastal town to life. Bali is a haven for anyone interested in conservation, culture and adventure. 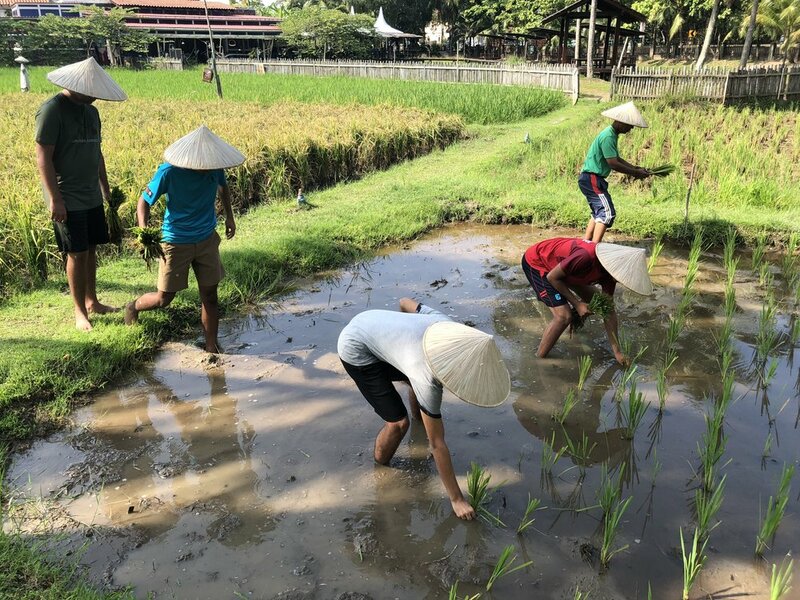 Students will live in a traditional kampong village experiencing the hospitality of Balinese culture whilst exploring the diversity of the islands countryside. Nestled between the natural setting of forests and streams are traditional villages, rice fields and temples, all of which the students will explore whilst learning about the local culture, flora and fauna. Students will stay in exclusive accommodation outside of Bali's busy tourist area so they can experience the real Bali. From this base we will explore the landscape; trekking through paddy-fields, plantations and volcanoes. Students will indulge in 'Kampong' (village) life with traditional activities and explore the effects tourism has had on the islands ecosystems and infrastructure. Ecofieldtrips have a longstanding relationship with LINI, a marine conservation organisation that works with marginalised coastal communities in Bali. A highlight of a trip to bali is volunteering with LINI, getting hands on with a coral reef reconstruction project. You will be involved in the whole process including the creation and deployment snorkel to see your structure in its new habitat. If you want to extend your trip in Indonesia, take a look at the other islands we can visit below! Lombok is a little-known paradise (with no tourists) forming part of the chain of the Lesser Sunda Islands, with the Lombok Strait separating it from Bali to the west. With a mountainous landscape, forests bursting with birdlife and turquoise clear waters, Lombok is the perfect location for students to learn about the ecology of Indonesia! The topography of the island is dominated by mount Rinjani - the second highest volcano in Indonesia at 3726 m! With the landscape being so varied we can explore a range of habitats right on our doorstep including forest, coral reef, rocky shore and seagrass meadows. Nusa Penida is a quiet and secluded sanctuary southeast of Bali. Situated within the hilly landscape and into the forest, students will be accommodated in traditional chalets on an organic farm. With eco living facilities right on our doorstep there are plenty of options for meaningful service projects, focusing on themes of sustainable development students can get hands on with aquaponics, aquaculture or permaculture! Flores and Komodo are part of the Lesser Sunda chain of Indonesian islands, most famed for their crater lakes and Komodo dragons. Flores really has something to offer everyone; an abundance of marine and terrestrial life, remarkable land formations complete with breath-taking views and vibrant cultures. On this trip you will have the opportunity to live aboard! 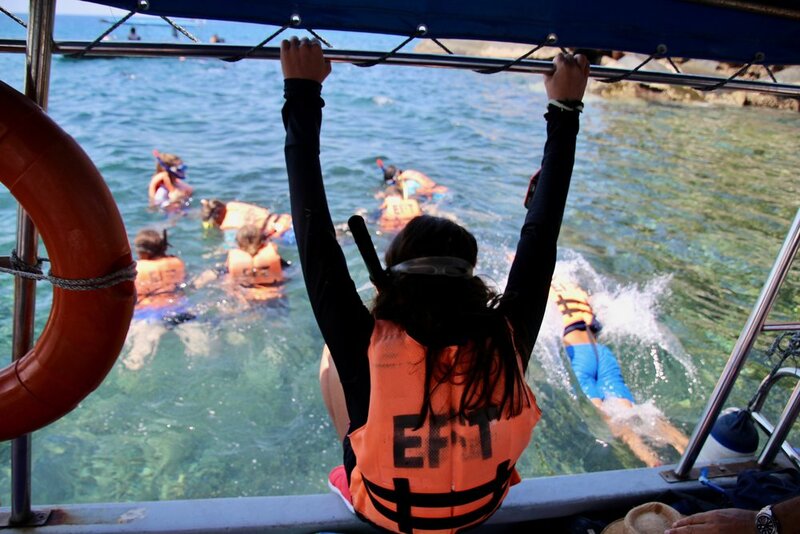 Under the guidance of experienced EFT biologists and from the comfort of your own boat, you will learn about marine systems and get to know the species that make Flores so special through snorkelling or diving. Other possible activities include hiking around the famous Komodo National Park, kayaking, exploring caves or venturing into the mangroves to witness a spectacle of fruit bats flying overhead in their hundreds. The diverse and multicultural island nation of Sri Lanka is a wonderful mix of culture, adventure and awe inspiring scenery. Sri Lanka is still relatively untouched by tourists, making for an unforgettable time exploring the islands many highlights. Students will go on an adventure of a lifetime travelling between palm-studded beaches, picturesque highlands and culturally steeped villages. They will get a real taste of Sri Lankan wildlife, with the option to stay at Ruhunu Safari Camping, situated in the buffer zone of Yala National Park. The safari-style tents are scattered throughout the scrubland, giving students the feeling of being deep in the wilderness, from the comfort and safety of a luxury camp: a unique experience that enhances their Sri Lankan safari adventure. Potential activities include whale watching, 4x4 safari, hiking to Adams Peak, taking a train ride through the tea plantations and mangrove rehabilitation projects! The Maldives is a tropical paradise made up of 1000 coral islands lying between the Indian Ocean and the Arabian Sea. With its crystal clear waters, white sand beaches and diverse marine life, it has become one of the world's premier diving destinations. The remarkable geography of the Maldives, with its chain of atolls, makes it a truly unique destination. From small, brightly coloured fish to gentle giants like manta rays and whale sharks, the coral reefs offer something for everyone to enjoy regardless of their previous diving experience. Ecofieldtrips is proud to work alongside Manta Trust to collect valuable information contributing to the longest continuously running manta ray research project in the world. Considered the heart of Southeast Asia, this small island country off the tip of Peninsular Malaysia has a rich blend of fascinating history and cultures. Singapore's short yet diverse history is a story that covers British colonialism, war, invasion, trade, civil unrest, multiculturalism, globalisation and more. Famous for its clean and safe streets, Singapore is the ideal place for students to learn about biology, human geography, tourism and more. We have a range of locations around the city available to us dependent on your chosen subject focus. 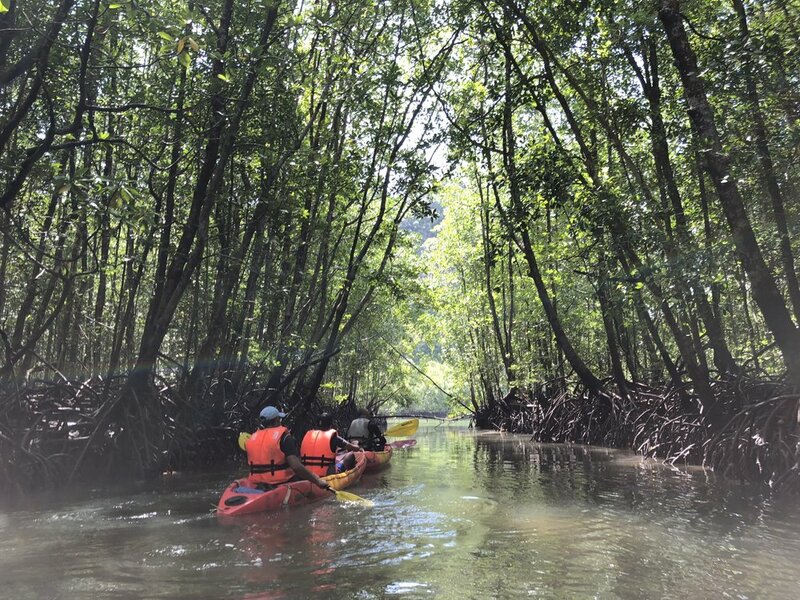 Explore primary rainforests and mangroves for an introduction to ecology or study the drivers behind Singapores tourism, looking at a range of sites from humble fishing markets to gardens by the bay as we consider the human geography of the Lion City. Known to locals as the mother city of South Africa - Cape Town is a rich cultural hub of activity. Nestled below the majestic Table Mountain on the southwest coast of Africa, students will be immersed into capetonian culture through guided walks, traditional activities and local enrichment projects. 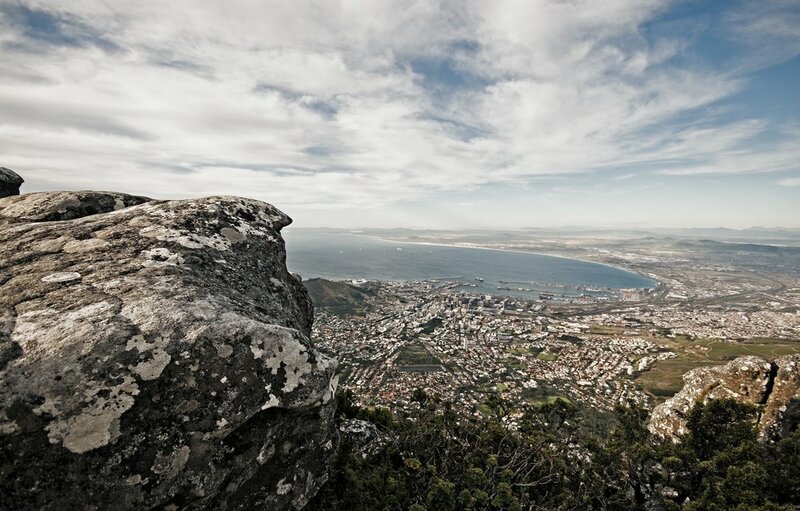 World renowned for spectacular views, prominent geographical features, and spectacular wildlife featuring the ‘big five’, Cape Town is a hotspot for nature enthusiasts. Students will experience the rich mix of biodiversity the region has to offer, including seagrass snorkeling with the endangered African Jackass penguin and visiting one of the most prominent cheetah rehabilitation centres in the world. Boasting eight of the ten highest peaks in the world, Nepal is unrivaled as the world’s most unique destination for trekking and breathtaking views. With untouched natural beauty and deep cultural roots, many have been known to journey through Nepal looking for spiritual enlightenment. Ecofieldtrips has partnered with Vedic Arogya Ashram to create an innovative trip - be immersed into the real Nepal with our authentic programme. 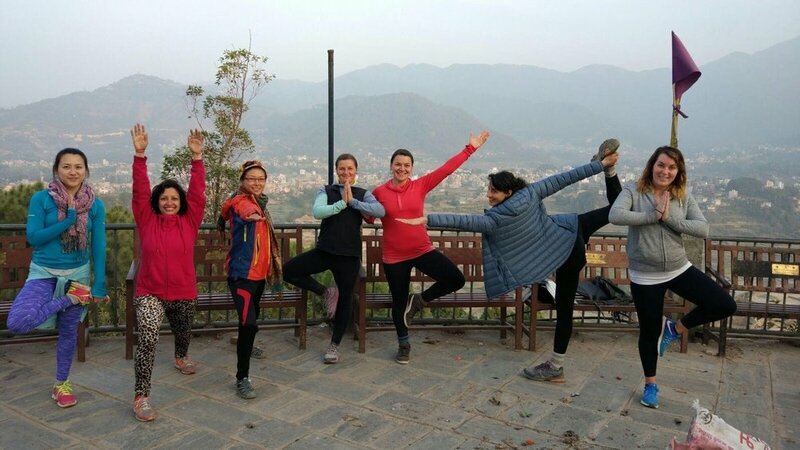 The trip encompasses yoga, meditation, enrichment projects, cultural activities and guided wilderness treks to ensure students come away re-balanced and inspired by Nepal. Chose a trip based out of the historical city of Ho Chi Minh or travel on to Con Dao island, a hidden paradise just a short trip away. Once a war torn country but now a thriving metropolis of commerce and culture, Vietnam makes for an unmissable trip. Learn about Vietnam’s unique heritage as we explore the pristine landscape of paddy fields, incensed infused temples, cultural towns and diverse ecosystems. As the Con Dao archipelago remains fairly uninhabited and untouched by development it is a stark contrast to the bustling streets of Ho Chi Minh City. Renowned for its outstanding natural beauty, complete with white sand beaches, cool turquoise waters and thick mountainous forest - Con Dao is perfect location for students to immerse themselves in culture, history and the natural world.